UP10TION has released one studio album, seven mini-albums in Korean, and two singles in Japanese. They also participated in the original soundtrack for a drama called 38 Task Force with the song Run. They debuted by releasing a mini-album called Top Secret with So, Dangerous as their title track. UP10TION debuted on September 9, 2015, by holding a showcase at AX Concert Hall in Seoul. Just like their name, they consist of 10 members that were revealed previously on their program called King of Masked Rookie UP10TION. On the same day, they released a music video for the promotional song “So, Dangerous”. The music video was ranked number 9 on Billboard’s Most Viewed K-pop Videos in America for the month of September 2015. Two days after their debut, they released their debut mini-album Top Secret on September 11, 2015. It comes with six tracks with So, Dangerous as the title track. The album debuted at number 9 and the highest peak was number 7 on Gaon Album Chart. The album comes with an 84-page photo book which contains Q&As depicting each member’s personal info and characteristics, a CD, and 1 random photo card. UP10TION began promoting on Mnet’s M! Countdown by performing their title track “So, Dangerous” on September 10, 2015. On the following day, they were performing on KBS’s Music Bank. Bravo! 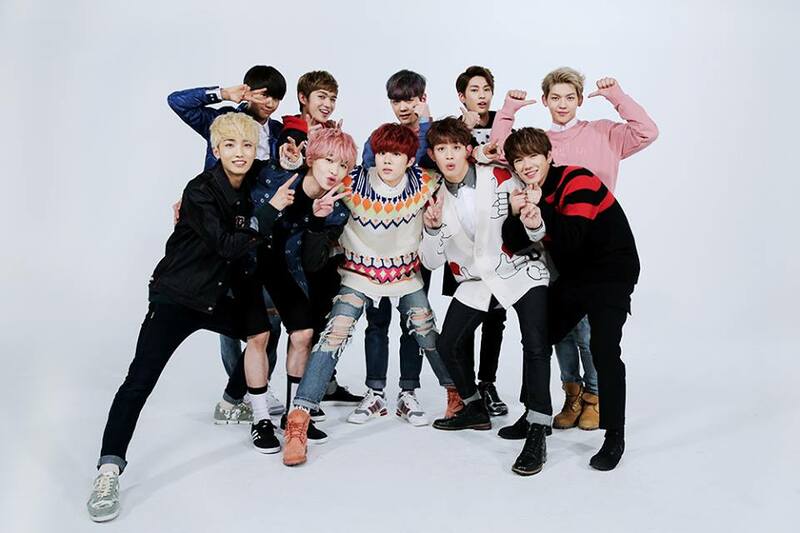 is UP10TION’s second mini-album which released on November 26, 2015. It comes with six tracks with “Catch Me!” as the title track. “Catch Me!” was produced by Iggy and Youngbae. They produced two hit songs before, Ailee’s “Heaven” and GFriend’s “Me Gusta Tu”. The mini-album peaked on the charts at number 5 on Gaon Album Chart. It sold 31,611 copies. The physical album comes with a CD, a photo book and 1 random photo card. They began the promotion for Catch Me on November 28, 2015, by performing Catch Me! on MBC’s Music Core. They also performed on Mnet’s M! Countdown, KBS’s Music Bank and SBS’s Inkigayo. They ended the promotions on MBC’s Music Show on January 9, 2016. Spotlight is UP10TION’s third mini-album which released on April 18, 2016. The mini-album comes with seven tracks with Attention (나한테만 집중해) as the title track. The music video for Attention was released two days before the album release, on April 16, 2018. Spotlight peaked at number 4 on Gaon Album Chart and was ranked at number 5 on Japan’s music chart. It sold 62,848 copies in Korea and 18,235 copies in Japan. The physical album contains a CD, an 80-page photo book and 1 random photo card. On April 16, 2015, they began promoting Attention on MBC’s Music Core. They ended the promotions on the same show on May 21, 2016. They held a mini-fan meeting on the same day. They and their fans gathered in front of MBC’s building. 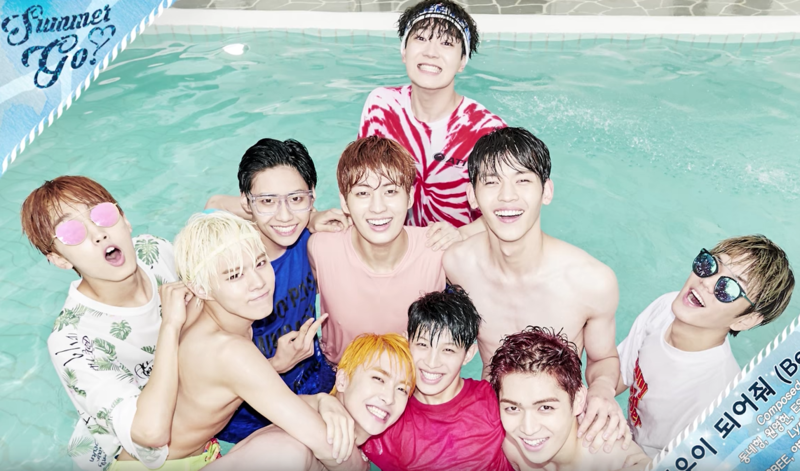 UP10TION released their fourth mini-album on August 5, 2016. The mini-album is called Summer Go!. It comes with six tracks with Tonight serving as the album’s title track. On the same day, they released a music video for Tonight. The album was ranked number 1 on Gaon Album Chart and ranked number 8 on Japan’s music chart. It sold 73,561 copies in Korea and 16,326 in Japan. This physical album includes a CD, a 96-page photo book and 1 random photo card. The album was re-released on September 20, 2016, as Thank You, and it was limited edition. On August 5, 2016, they began promoting the song Tonight on KBS’s Music Bank. The next day, they were performing on MBC’s Music Core. They ended the promotions for “Tonight” on Mnet’s M! Countdown on September 1, 2016. Burst is the fifth mini-album by UP10TION. It was released on November 21, 2016. The mini-album consists of six tracks with White Night serving as the album’s title track. On the same day, they released a music video for White Night. The album was ranked number 1 on Gaon Album Chart and has sold 83,737 copies. Burst also ranked number 25 on Japan’s music chart and has sold 10,152 copies in Japan. This physical album of Burst includes a CD, an 80-page photo book and 1 random photo card out of 22 photo cards. Before the album released, they began promoting the song White Night on November 18, 2016, on KBS’s Music Bank. On the following day, they promoted the song on MBC’s Music Core and SBS’s Inkigayo.